and the north-western half, which is more important for the wart-biter cricket. However, the management of this latter part of the reserve is a challenging one. Wart biter crickets prefer slighter longer vegetation. Grazing animals, eating the taller grasses in the spring and summer, have been observed to also eat the young crickets (by accident), so they are not allowed on the reserve at this time. But autumn and winter grazing by sheep, cattle or horses, doesn’t do so much to reduce the growth of brambles, nettles and the coarser grasses. 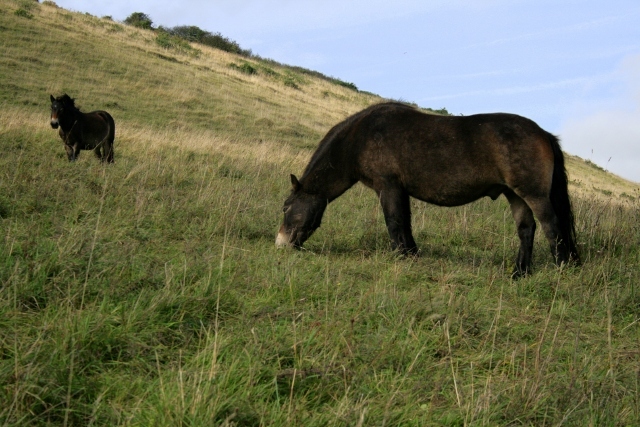 Exmoor ponies in Castle HIll NNR. This year, after a lot of work replacing worn out fence posts, Natural England introduced Exmoor ponies in the beginning of October. They are particularly good at ‘conservation grazing’. They have been slowly exploring all corners of the reserve, and a few hoof prints have been seen in the vicinity of our dig. Hopefully they may help keep down some of our brambles and nettles which have made our dig somewhat challenging. As we may be digging again next year, any help we can get keeping down unruly vegetation would be really useful. 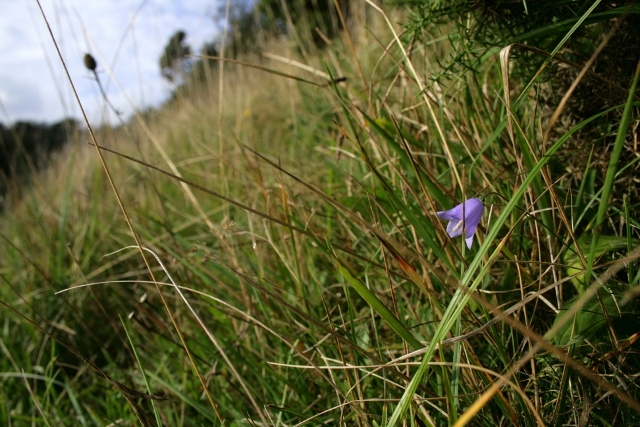 On the upper slopes of the un-named ridge between Falmer Bottom and Newmarket Bottom, it was nice to see a late harebell in flower. Heather, Calluna vulgaris, Castle Hill NNR. For me, a small area with a light scattering of heather was a really important indicator of the changing environment of the downs. They hate chalk, so will only grow on the chalk downs on undisturbed acid topsoil. Also they need poor soil, so the current rarity of this once common plant on top of Newmarket Hill (as reported in newspapers covering the 1868 murder of David Baldy) is a sign that these grasslands may be getting more fertile. 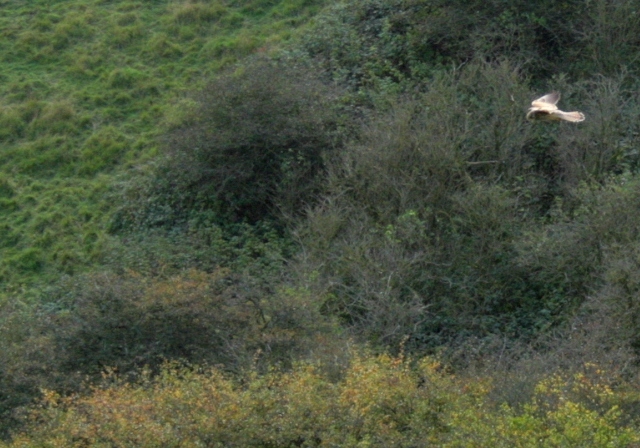 Kestrel (top right) hovering on hillside by Falmer Bottom. 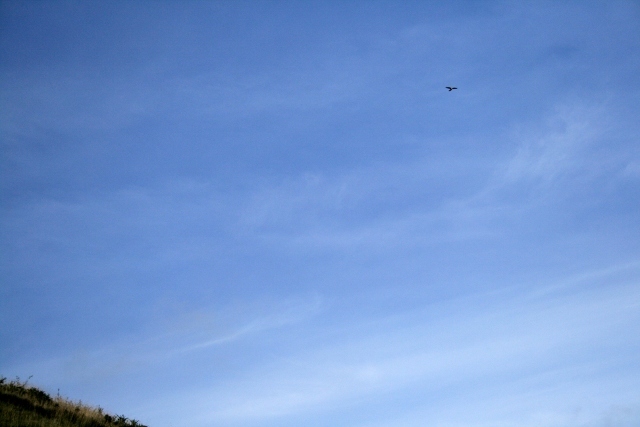 Hunting kestrel over Newmarket Bottom. It was also nice to follow one or more kestrels hovering over the edge between the scrub and the open grassland, looking to feed on large insects and small mammals. Back at the dig site I continued cutting back the paths around the site. The brambles have an annoying habit of sending out trailing tendrils at ground level, which produce new roots at their growing tips whenever these come in contact with the soil. This creates perfect trip hazards for the unwary! They are often so low that they are missed by the strimmers, so I have found a rake to be the best way to find them, then to cut them back with shears. Raking back the debris covering the paths also reduces the fertility of the soil, which reduces the speed at which any future brambles might grow. So this slow work is doubly worthwhile. Back in medieval times, up until about the beginning of the 20th century, sheep did this work. They would be driven up from the fields surrounding the village early every morning to graze the open downland – which was less suited for ploughing. The grass would be stored in their stomachs for digestion later that evening, when they would be driven back down off the hill and penned up on one of the fallow fields overnight. During the night they would digest what they ate during the day, and excrete out what they didn’t digest. Thus most of their fertile manure would be deposited on Kingston’s arable fields overnight – the result of all the grass which they ate during the day. Thus, whilst the arable fields became more fertile, so the grazing areas over the downs became less so. 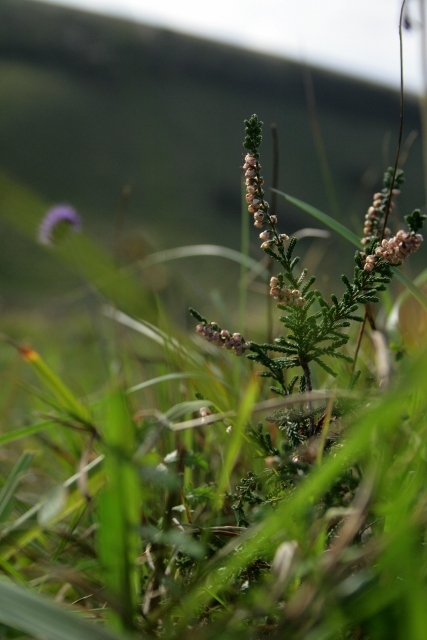 Brambles, nettles and many of the coarser grasses prefer more fertile soils, so the labour intensive traditional methods of shepherding created ideal conditions for the growth of heather on the downland hilltops. There would have been few brambles on the downs in those days to trip up the shepherd or his sheep! What of the wart-biter crickets? They prefer a slightly taller vegetation, and not the short springy bowling green length turf which the sheep used to create. 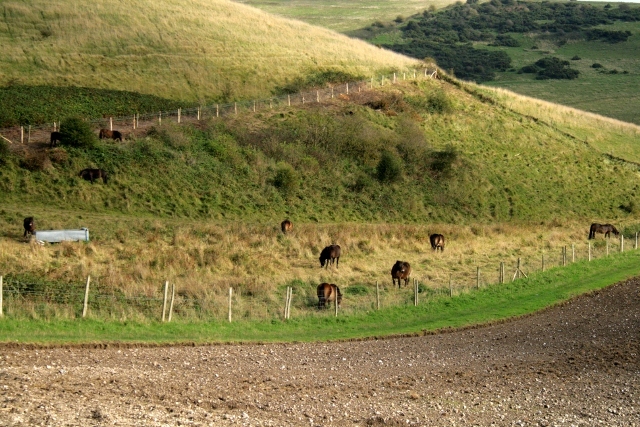 They are most common in the vicinity of Newmarket and Falmer Bottoms, the steep sided valleys south-east of Newmarket Farm. I suspect the soil on Newmarket Hill was a fertile one. So it was suitable for being ploughed and growing crops. But it was a long way from the village of Kingston, to which it belonged. So in 1830 they built an out-farm with barns to store a plough and the harvested crops, and to house a farm labourer and his family to look after things up on the hill. The other side of the hill was Brighton, with lots of hungry visitors who might have wanted to eat lots of beef. So they may have kept a small herd of cattle down in the relatively fertile valley bottoms down below Newmarket Hill, which though they belonged to the Parish of Kingston, up until then they were not at all easy to keep an eye on. So, after 1830, this end of the Kingston Down may have had a different grazing management regime to those elsewhere. Cattle don’t eat the vegetation as low as sheep, so create a habitat better suited to the wart-biter cricket. I like my story of the link between Castle Hill NNR and Newmarket Farm. Next year I hope to do some more research to see if it might be true!